It’s always news when a new little resto opens its doors in Cabbagetown. Just a few blocks east of Yonge, Old Cabbagetown is home to many well-loved established restaurants and cafes like House on Parliament and Jet Fuel just to name a few. 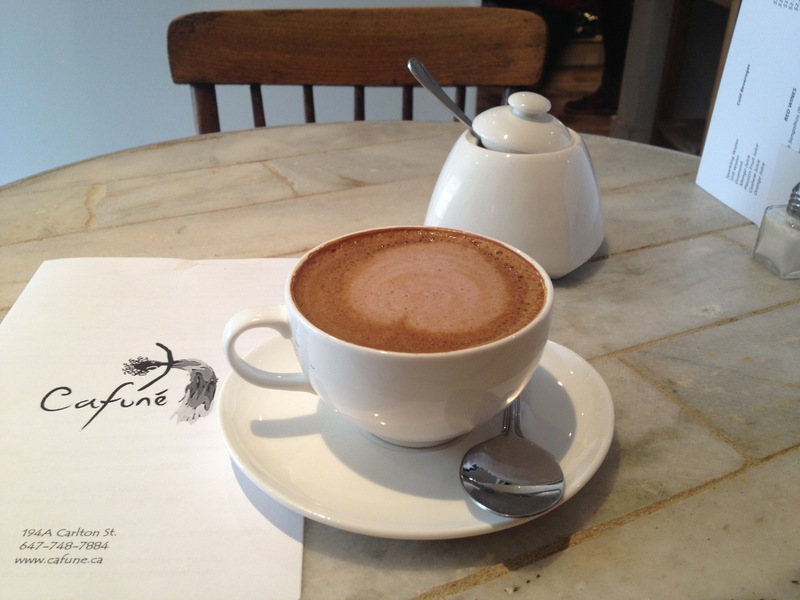 Cafuné just opened its doors in the fall and already getting some great reviews for its authentic Brazilian cuisine. Cafuné is a cheery addition to the Carlton strip filled with happy colours in the form of mismatched chairs and vibrant throw pillows. And if that doesn’t put a smile on your face, the Brazilian music they play throughout the day will put a spring in your step. 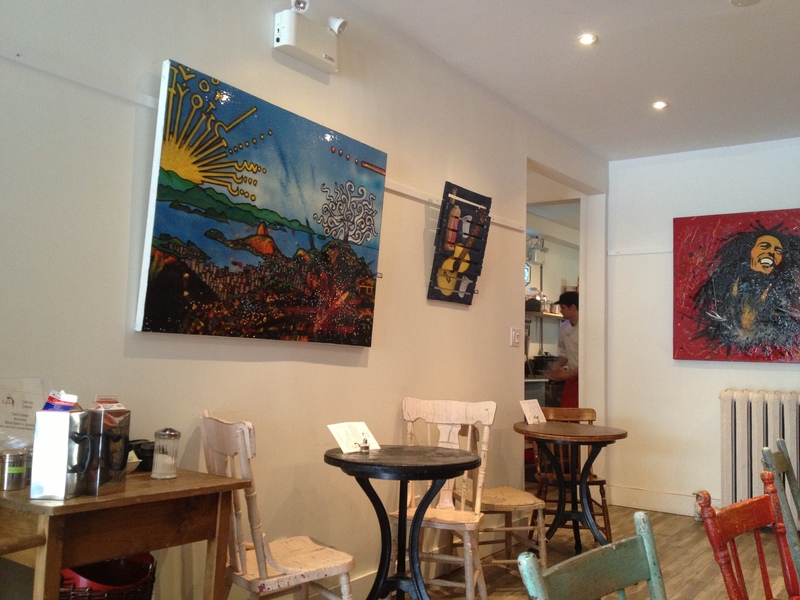 They display art by Brazilian artists and have a small selection of books and natural fiber art for purchase. Please have a seat: Warm, Inviting and Colourful. Their menu is filled with reasonably priced tapas options that you won’t find anywhere else in the city. 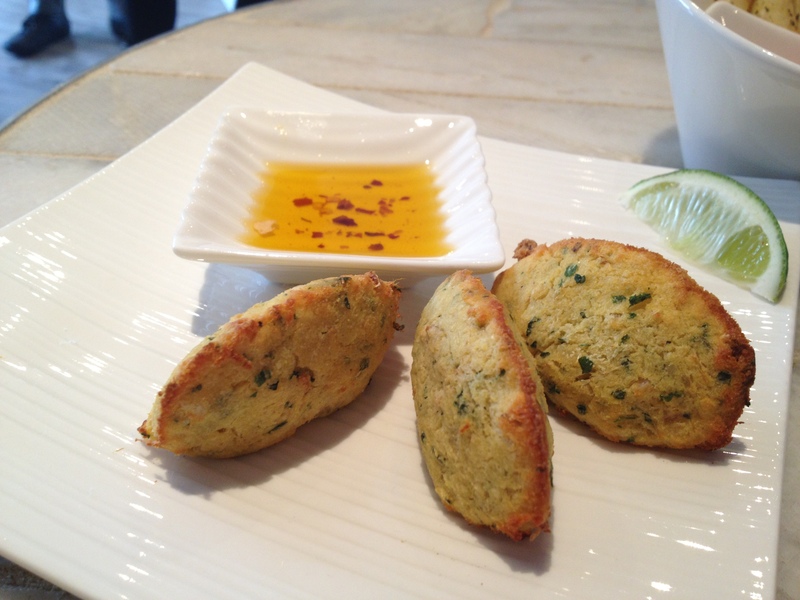 I started off with an excellent latte while deciding on their Crispy Baked Manioc and Cod Cakes. I was eating alone but there are definitely so many options that coming with a few friends is a good way of trying everything! I know manioc by it’s other name cassava. In Filipino cuisine it is combined with coconut milk, eggs and butter to make a sweet cake. 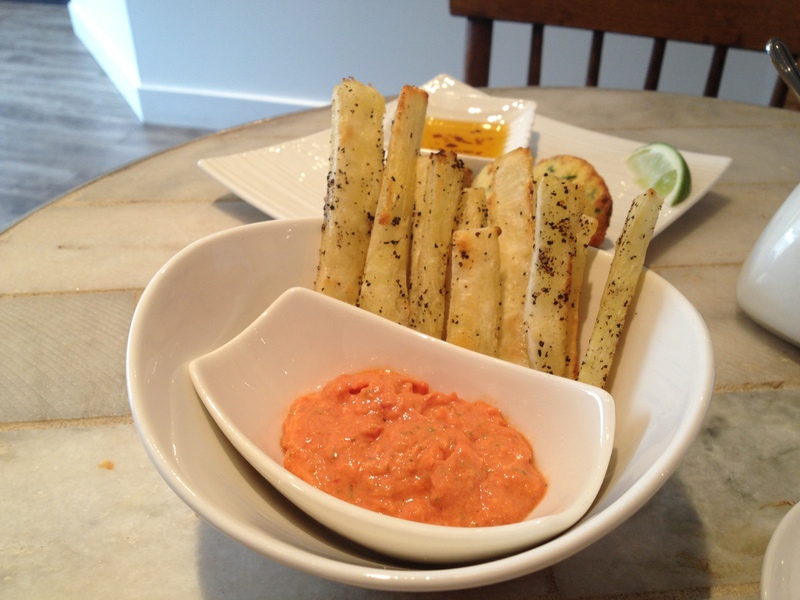 I was pleasantly surprised trying it in a savoury format with a light creamy tomato dip. 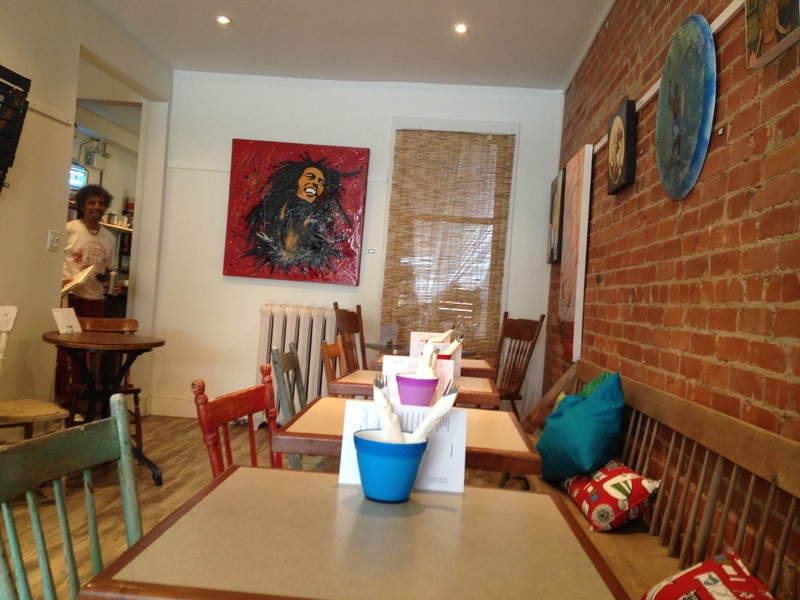 Cafuné is truly a Cabbagetown gem that you don’t ever want to miss if you’re in this part of the city! I only had time to stop in and try a few of their offerings but I am definitely game to make a return! I want to try out their prix-fixe dinner menu with a few friends. See you soon, Cafuné! Colouful Cafuné I’ll see you again soon!